Waltham, MA According to Hobbs Brook Management LLC, a commercial property management and development firm specializing in leasing, construction and development of class A office space, its repositioned and renovated office building at 610 Lincoln St. North has been certified LEED Gold by the United States Green Building Council (USGBC). 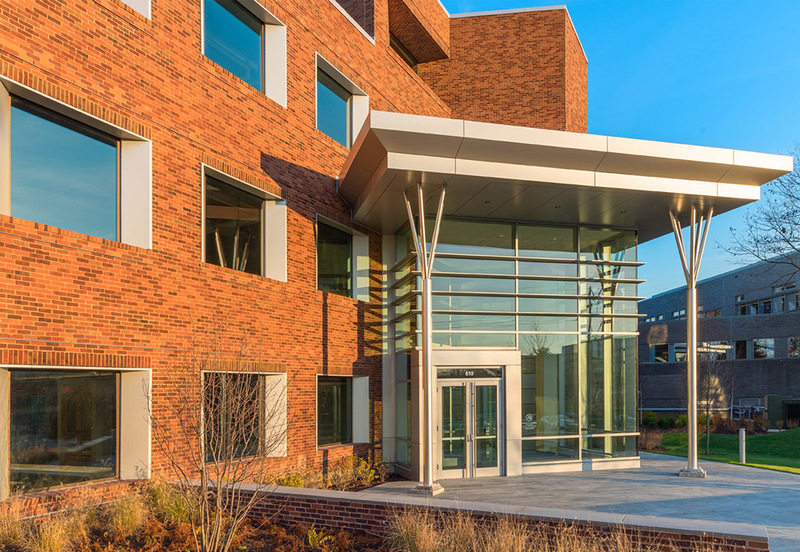 Designed by Margulies Perruzzi Architects (MPA) and located within the Hobbs Brook Office Park, 610 Lincoln St. North features flexible floor plans, on-site dining, multiple amenities, and access to the Forefront Conference Center. Designed for single or multi-tenant occupancy, the completely renovated building features 86,169 s/f of highly efficient office space on three floors, and comes with a 3.7 parking ratio and front-desk security. To open the lobby to more natural light, MPA redesigned the main entrance with a new two-story glass vestibule. An additional 6,000 s/f of office space was gained by lowering the building grade and moving mechanical equipment to the roof. The sustainable upgrade of 610 Lincoln St. North includes new HVAC systems, windows, electrical systems, and fireproofing. 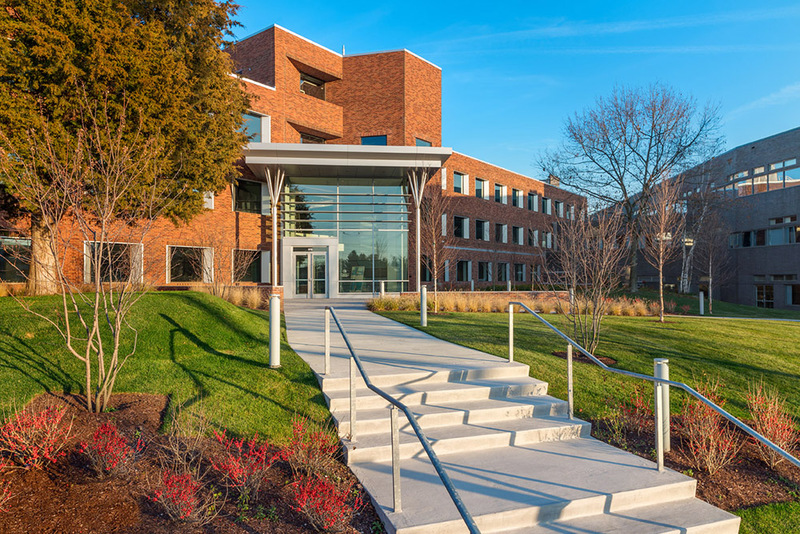 Hobbs Brook Management’s devotion to sustainability is evident through project aspects that include an integrated green cleaning program, mature landscaping, high-reflection roofing, preferred parking for hybrid-vehicles, and shower facilities for bicycle commuters. The project featured a 36% water-use reduction and a 29% optimized energy performance during the design, engineering, and construction phases, with the intention of reducing energy costs to future tenants. In addition to Margulies Perruzzi Architects, the project team includes general contractor Columbia Construction Company; landscape architect Studio 2112; MEP engineer AHA Consulting Engineers; structural engineer Souza True & Partners; civil engineer H.W. Moore Associates; and LEED consultant Entegra. Hobbs Brook Management is represented by Wyman Street Advisors. Because the most valuable thing they develop is a relationship, Hobbs Brook Management focuses its efforts on satisfying the individual needs of customers that lease within their parks. A service-oriented provider of Class A business solutions to companies large and small, Hobbs Brook builds sustainably, maintains an on-site facilities management staff, and develops or renovates projects for energy efficiency, LEED certification, and the preservation of the local environment. 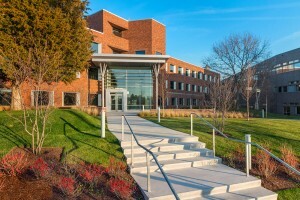 With portfolios in Massachusetts, Rhode Island, Georgia and Illinois, Hobbs Brook offers competitive amenities, on-site catering and dining facilities, fitness centers, and a full-service conference center available to tenants and the public. Hobbs Brook enjoys a steady occupancy rate in the 90th percentile, and holds firm to the belief that tenants should feel secure, well-balanced and prevalent at work.